The period between 1910 and 1924 was mostly spent at University College London and Imperial College London, where he taught and wrote on physics, the philosophy of science, and the theory and practice of education. He was a Fellow of the Royal Society since 1903 and was elected to the British Academy in 1931. 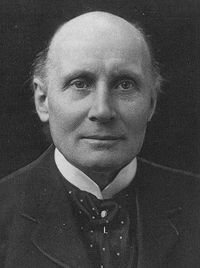 In physics, Whitehead articulated a rival doctrine to Einstein's general relativity. His theory of gravitation is now discredited because its predicted variability of the gravitational constant G disagrees with experimental findings. Whitehead's theory of gravitation is said to feature a prior geometry. It has the curious feature that electromagnetic waves propagate along null geodesics of the physical spacetime (as defined by the metric determined from geometrical measurements and timing experiments), while gravitational waves propagate along null geodesics of a flat background represented by the metric tensor of Minkowski spacetime. Whitehead's theory makes the same predictions as general relativity regarding the four classical solar system tests (gravitational red shift, light bending, perihelion shift, Shapiro time delay), and was regarded as a viable competitor of general relativity for several decades. Clifford M. Will claims that the theory makes predictions concerning ordinary ocean tides on Earth which are in violent disagreement with observation, which immediately nullified this theory.